Canyon Country is a community and district within the city of Santa Clarita, located in northwestern Los Angeles County, California, United States. Canyon Country is north of the San Fernando Valley via Newhall Pass through the Santa Susana and San Gabriel Mountains. Canyon Country is located in the upper watershed of the Santa Clara River in the Santa Clarita Valley and Sierra Pelona Mountains foothills. 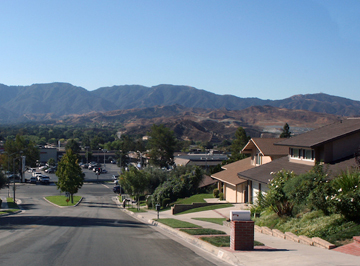 In 1987, Canyon Country was one of four communities, with Valencia, Newhall, and Saugus, that merged to create the city of Santa Clarita, California. Canyon Country has a population (2010) of 59,530 people. Canyon Country is home to the Placerita Canyon Nature Center, which is also the site of California’s original gold discovery at the historic “Oak of the Golden Dream” in 1842.